To mark European Mobility Week 2018, the new Sustainable Urban Mobility Plan (SUMP) of the city of Perugia was presented to residents. It consists of a medium to long-term plan with the objective to create more favourable conditions for reducing private motorised transport. 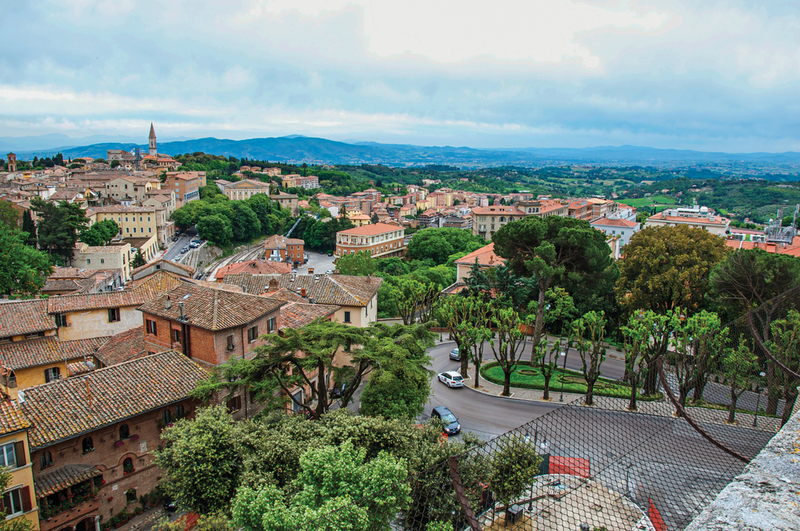 Perugia has one of the highest motorisation rates in Europe with 713 cars per 1 000 inhabitants, the SUMP also encourages the use of public transport and emphasises steps to improve quality of life for residents. The Plan will focus primarily on improving the attractiveness of public transport, the efficiency of urban logistics and safety for pedestrians and cyclists. Other overall goals include the reduction of road congestion and irregular parking, the promotion of low-pollutant and electric vehicles, the improvement of the environmental performance of the vehicle fleet. In addition, the public transport network will be reorganised on four hierarchical levels, based on Bus Rapid Transit (BRT) regional schemes which favour connections with the municipalities surrounding Perugia. Special fares for families, students and other travellers will be introduced. Most of these topics emerged during a long consultation process held with residents, which started a year and a half before the SUMP presentation. Many of the opinions and points of view collected were translated into programmatic actions and incorporated in the SUMP process. 70% reduction in car travel? While the teaser in twitter mentions the reduction targets, the article here doesn't really explain that. it would be a great addition to the article to go into that.